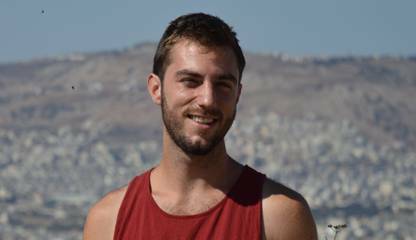 (16.01.2018) Conscientious objector Mattan Helman, 20, from Israel has been imprisoned again for his refusal to serve in the Israeli army. Mattan, who is behind bars at the moment, was sentenced to 20 days. This is Mattan's third imprisonment, at the end of which he will have spent 50 days in military prison in total. To support Mattan with your protest emails, click here. I know I'll remember this day all my life. I will remember it not for being imprisoned, but for being the day in which I mark my freedom.